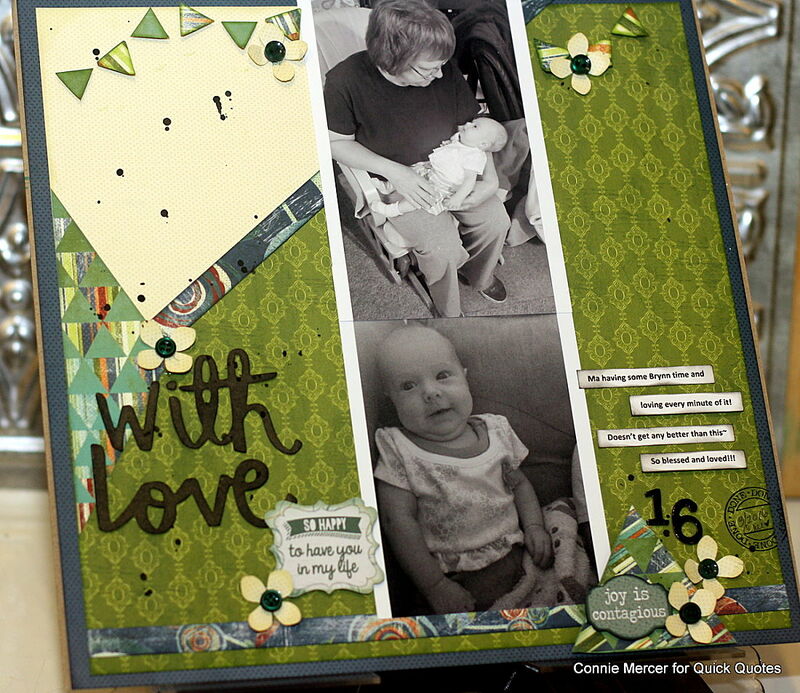 Blog Quick Quotes: Use Those Scraps with Connie! 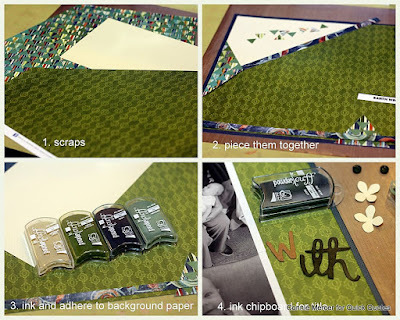 Use Those Scraps with Connie! 1. Gather your scrap papers. 2. Piece them together creating one sheet of paper by laying the pieces on cardstock or another paper from the collection. 3. 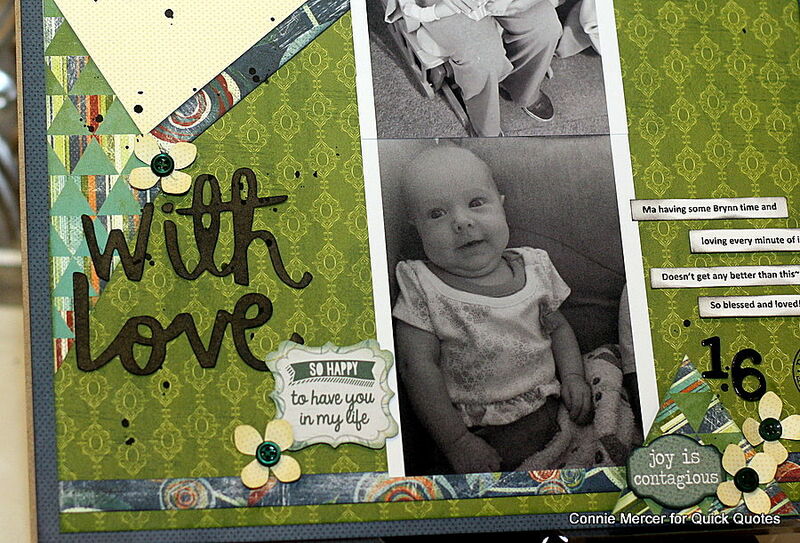 Ink around the edges of the scrap pieces with Quick Quotes PowderPuff Chalk inks. 4. Adhere the pieces to the base sheet. 5. Add color to the chipboard word with Quick Quotes PowderPuff Chalk inks and adhere to the page. Then to finish the project, I framed it! Earth Fire Wind collection (coming soon): 111, 107 and 101.